Discern is a fictional novella about the kidnapping of a wealthy teenager from Salt Lake City, Utah. 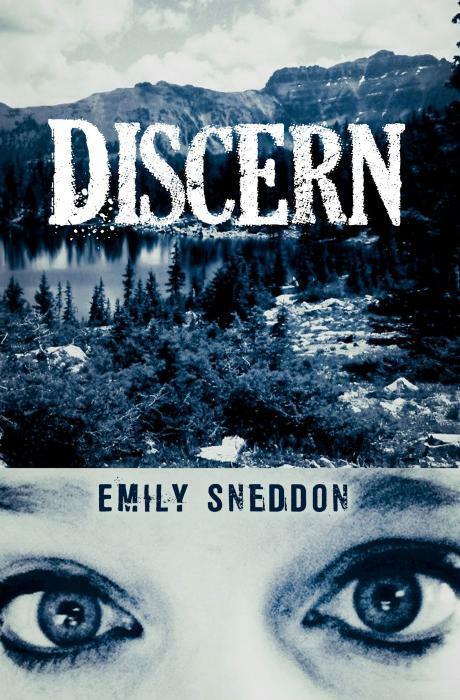 This suspenseful thriller is the first book written by Utah native, Emily Sneddon. Sneddon graduated from the University of Utah in 2014 and currently lives in Nova Scotia with her family. Writing a book is hard work, but finding inspiration in Utah is not. The culture alone is incredibly unique, but the diverse landscape throughout the state is incomparable. After growing up near Salt Lake City and attending the University of Utah, I felt like part of the tapestry that makes up the terrain. I considered myself born from the red dirt and raised by the mountains. Imagine my surprise when I met a man capable of convincing me to leave such a beautiful place. And while I’m grateful for the beauty and adventure that I’ve experienced since leaving, I will always be a Utahn at heart. When I decided to write a book, I knew it was going to be set in Utah. I came up with the idea for this story during the summer before my wedding/relocation. So, this was my last chance to really immerse myself in thought about my home state. I also wanted to write a thriller because I’ve been fascinated by scary stories since childhood, but Utah has always felt like a safe place. So what would happen if something (or someone) sinister was lurking around the corner? The Avenues is an upscale neighborhood in the north-east part of Salt Lake City. Savannah Blake attends a prestigious, private high school nearby and is royalty among her wealthy friends. One day, Savannah’s biggest concerns include which parties to attend and which boys to date. The next, she must fight for her own life. Taken from her home. Taken from her friends and family. The last thing on her mind is which dress to wear to formal. Next post Sportsmanlike Conduct November 12th – What is Sportsmanship?